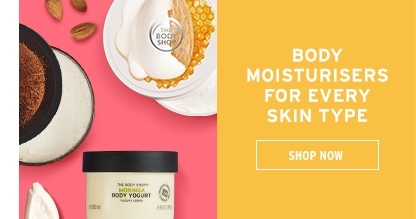 Why do I need to download The Body Shop® Malaysia new mobile app? This is an app to reward our loyal and frequent customers. 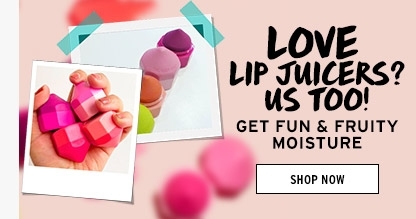 We offer our Love Your Body™ Club Members rewards on their purchases, exclusive in-app offers and promotions from time to time, in addition to providing information on our existing/new products, members-only sale/previews and event updates. •et; Check points, membership expiry and transaction history on-the-go. •et; Earn and burn points for all your transactions from the retail stores and online. •et; View and redeem vouchers in your account with ease. •et; Easy navigation and rich source of information. •et; Preview push notifications stored in inbox. •et; Instant update of points 24/7. •et; Enjoy mobile-app exclusive offers. •et; Check and search for product information. •et; Get latest updates on in-store promotions, new products, and events. •et; Be invited to beauty workshops and member exclusive previews. •et; Find our nearest store from where you are. How do I apply for a Love Your Body™ Club Membership? To enjoy Love Your Body™ Club benefits, you need to register your membership via The Body Shop® Malaysia mobile application. You will receive a verification email to your registered email address and an SMS verification code (OTP code) to your registered mobile number to complete your member activation. 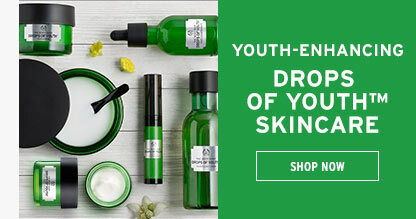 I have downloaded The Body Shop® Malaysia mobile app previously. Do I need to re-download the new mobile app and register again? All you need to do is to update your current The Body Shop® Malaysia app version, register and complete your details as required. I am an existing Love Your Body™ Club Member. How do I proceed with the registration? After you have completed your registration details, please click on ‘I want to link my existing membership’ under My Account. If the membership number and security answer are automatically populated, click ‘Link Now’ if the security answer is the last 6 digits of your current membership number. 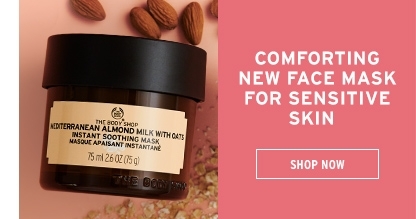 Please visit any of The Body Shop store if it is not. We will assist you to complete the membership registration. Upon successful linkage of LYB membership, you will be able to view your membership status and points to date. I am not an existing Love Your Body™ Club Member and I would like to sign-up for a new membership. After you have completed your registration details, please click on ‘I want to be Love Your Body™ Friend’ under My Account. Your membership status is Love Your Body™ Club Friend and you will be assigned a membership number which starts with ‘LYB’. What are the benefits enjoyed by the Love Your Body™ Club Member? All the rewards offered to our Love Your Body™ Club including members exclusive rewards such as rebate vouchers, birthday discounts, member’s only sales, previews and offers. What are the benefits enjoyed by the Love Your Body™ Club Friend? Love Your Body™ Club Friend enjoys promotions offered to Love Your Body™ Club except for Love Your Body™ Club Member exclusive rewards. How do I become a Love Your Body™ Club Member? Spend a minimum of RM100 in a single receipt to become a Love Your Body™ Club Member and start to enjoy member’s benefit. How long will my Love Your Body™ Club Membership be valid for? Your membership will be valid for ONE YEAR. The date of your membership expiry will be indicated in ‘My Account’ of the mobile app. You will also receive a push notification reminder on your membership expiry so that you can renew your membership before expiry and continue to earn points and redeem vouchers. How do I accumulate points for my Love Your Body™ Club account? Remember to present your membership through The Body Shop® Malaysia mobile app QR code in-store or log in online to accumulate points for online purchases. You will not be able to accumulate points on your purchases without your membership details. Points will not be awarded if membership detail is presented after the transactions. 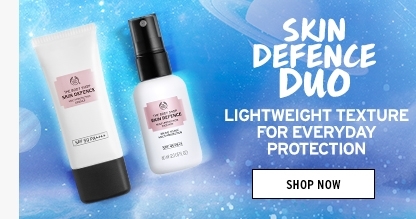 Points will be awarded at the rate determined by The Body Shop Malaysia for purchases (except for cash vouchers purchase) at The Body Shop retail and online stores. RM1 = 1 point unless The Body Shop Malaysia revise it at its discretion. 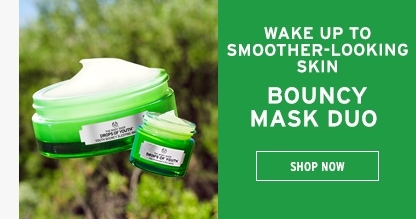 Why does The Body Shop® Malaysia require my e-mail address & mobile phone number? 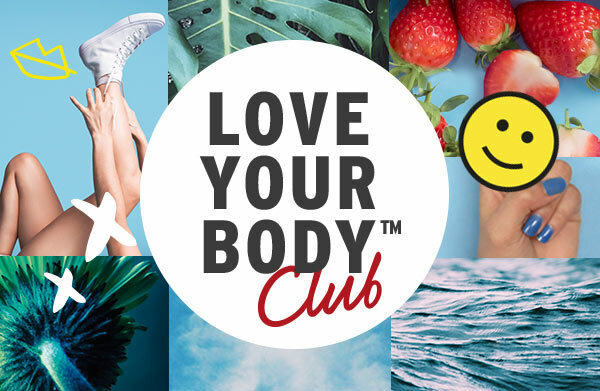 All active members of the Love Your Body™ Club are entitled to receive e-newsletter or sms updates on upcoming new products, promotions and events. Furthermore, you will receive reminders for Birthday treats, Rebate Vouchers & exclusive members-only sale invites via push notification and email throughout the year. If you would like further information on how your personal data is used, please click here. (PDPA 2010). How do I obtain my RM15 rebate voucher? Upon achieving a total of 150 points, RM15 rebate voucher will be credited into your membership account. The rebate voucher value is in multiples of RM15, and will be credited based on your total points value. You can view available vouchers with its validity date from your mobile app under LYB reward. It is valid for 30 days from date of issuance and on full-priced items only. Will I get 3x RM15 rebate voucher if I achieve 450 points? You will receive RM45 rebate voucher in your account. You can view available vouchers with its validity date from your mobile app under LYB reward. Can I use the rebate voucher immediately? Yes, you can as long as it is in your membership account. You can check your available vouchers from your mobile app, under LYB rewards. The rebate voucher can be redeemed in-store and online. 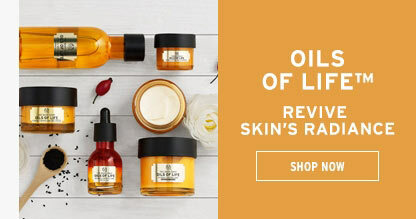 Can I use the rebate voucher at any The Body Shop® stores? Yes, you can, except for The Body Shop stores in KLIA, KLIA2, Johor Premium Outlet and Mitsui Outlet Park. Please retrieve your voucher QR code from your mobile app to be scanned in-store for redemption. 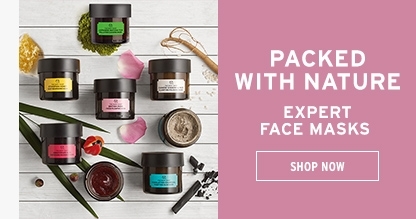 Can I use my rebate voucher online at the The Body Shop® Malaysia e-commerce site? Yes, you can. At the check-out page, you can select the rebate voucher from all your available vouchers in the drop-down menu before you proceed with payment. You can only utilise one voucher for each transaction. Are there special conditions on the usage of the rebate vouchers? The voucher is applicable for purchases on full-priced items in a single receipt and valid for 30 days from the date of issuance. You may also refer to the terms and conditions of available vouchers in your mobile app. Are my points deducted when I receive rebate voucher? Yes. 150 points will be automatically deducted from your account for every RM15 rebate voucher that is issued and any excess points will be carried forward. Points will not be reinstated for any unused or expired voucher. Can I share my rebate vouchers in my mobile app with family/friends? We do not encourage sharing of rebate vouchers because the vouchers are a form of reward as our Love Your Body™ Club member. Of course, your family/friends can register for Love Your Body™ Club account and enjoy the same benefits. Your birthday voucher will be credited into your membership account on your birthday. It is valid for 30 days from your birthday. Can the Birthday voucher be used only on the day of my birthday? You may use it at ANY TIME within 30 days from your birthday. Example: If your birthday falls on 2 March 2019, you may utilise your birthday voucher any time from 2 March 2019 until 1 April 2019. If I become a Love Your Body™ Club member on my birthday, will I receive my Birthday voucher in my account? In this case, you will receive your Birthday voucher on the next day and the validity remains as 30 days from the voucher receipt date. Can this Birthday voucher be used more than once in my Birthday Month? This 25% Birthday voucher is good for one-time use on full-priced items only. You may also refer to the Terms & Conditions of available vouchers in your mobile app. Can I use my Birthday voucher with other in-store or online promotions? You enjoy an exclusive once a year savings with your Birthday voucher, therefore the Birthday voucher is not applicable with other on-going offers. Is there a discount amount limit for the 25% Birthday voucher? Yes, the discount limit is RM250 off your original bill (Purchase limit before discount is RM1000). 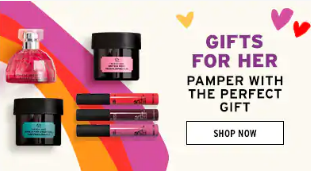 Can I use my 25% Birthday voucher online at The Body Shop® e-commerce site? Yes, you can. At the check-out page, you can select the Birthday voucher from all your available vouchers in the drop-down menu before you proceed with payment. You can only utilise one voucher for each transaction. I didn’t receive my 25% Birthday voucher. What should I do? Please remember to key in your actual date of birth during registration of mobile app to ensure that you will receive your birthday voucher on your birthday. In the event the date of birth is updated and you did not receive your birthday voucher, you can always submit your enquiry via the mobile app and our Customer Service team will be in touch. How much must I spend to qualify for this gift service? There is no purchase requirement to qualify for our gift services. This is a complimentary gift service provided to all active Love Your Body™ Club members. It is applicable on normal-priced items only. My membership has expired, am I still qualified to use this gift service? Purchase the individual gift making items at normal-price to create your own gifts in-store. Renew your membership with us for a minimum purchase of RM100 and receive the complimentary gift service on your NEXT/SUBSEQUENT purchase. Can I create my own gift? Yes! This gift service is for customer’s to personally handcraft gifts for any occasion with the assistance of our helpful store staff. Please take note that this gift service is only applicable in-store. What are the items used in creating these gifts? We have a selection of baskets, boxes, felt fillers, synthetic flowers, ribbons and coloured paper for customers to choose from to help create your unique gift. Is there a limit on how many items can be used in creating these gifts? Yes. Each handcrafted gift comes complete with a box filler (for box gifts) or up to two (2) fillers (for basket gifts), a ribbon and a gift tag of your choice. How do I check the expiry date of my Love Your Body™ Club membership and accumulated points? You may check your membership expiry date and point balance on The Body Shop® Malaysia mobile app. How can I qualify for automatic membership renewal? Your membership is qualified for auto-renewal if you spend a minimum RM300 at The Body Shop® stores in Malaysia and Sabah during the one-year validity period of your membership. You will also be able to carry forward your balance points to the new membership period. If I purchase more than RM600 during my membership period, will my membership auto-renew for 2 years? Any purchase of RM300 and above during the one-year validity of your membership will entitle you to 1 year of auto-renewal. What happens if I do not meet any of the specified membership auto-renewal qualifiers? Your membership will expire and your membership status will revert to Love Your Body™ Club Friend, until you decide to reactivate your account by spending a minimum of RM100 in-store or online. However, your balance points will not be carried forward to the new membership period. If my membership has expired, but my rebate/ birthday voucher is still active, can I still use it? Any available rebate/ birthday voucher in your account will be forfeited in the event your membership has expired. Therefore, we encourage you to spend a minimum RM300 at The Body Shop® in-store or online during the one-year validity of your membership to qualify for auto-renewal. You will be able to carry forward your vouchers and balance points to the new membership period. How much will I have to pay to reactivate my Love Your Body™ Club Membership? Simply spend RM100 and above in a single receipt to be eligible for membership renewal. Kindly note that this procedure is identical to first-time Love Your Body™ Club membership registration. If I spend RM100 in a single receipt to reactivate my membership, can I retrieve back my active vouchers? In order to carry forward your available vouchers to the new membership period, you will need to spend a minimum RM300 at The Body Shop® in-store or online during the one-year validity of your membership to qualify for auto-renewal. Vouchers cannot be carried forward after reactivation of membership unfortunately. Can I make changes to my personal details? Yes, you can edit/update your personal details via The Body Shop® Malaysia mobile app. Can I make changes to my username or password on my mobile app? Will it affect my login for online e-commerce? We do not encourage any changes to username as it is a unique identity tied to your membership account. Password can be changed in your mobile app, under ‘Update Profile’. The same login applies to both mobile app and online. You may click the ‘Forgot Your Password?’ below the log in section to receive a link to reset your password. The link will be sent to your registered email address. How are my personal details managed? Protection and use of data are in compliance with the Personal Data Protection Act (PDPA 2010). If you would like further information on how your personal data is used, please click here. (PDPA 2010). If I have questions that are not covered here, where can I seek more details for my enquiries? 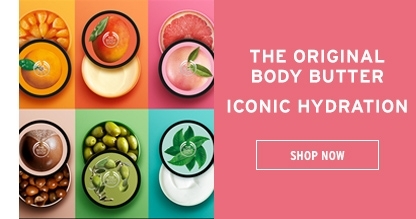 For further enquiries, please do not hesitate to contact our Customer Service via email at marketing.my@thebodyshop.com.my OR call us at 03-5632 4313 Mondays to Fridays (excluding Public Holidays) before 5pm. Customer Service team will in touch with you within 24 hours (or if on weekend, next business day).